Today, Vizio unveiled their holiday lineup of Smart TVs and – as always – the buzzword is value. Included in the E-Series’ lineup, are six new smart TVs, all of which retail for $2000 or less. In recent years, Vizio has found a comfy market niche, offering the latest television tech at rates that families with more modest household incomes can afford. Detractors have pointed to what they believe to be inferior under-the-hood specs when compared to more expensive models, but as whole, Vizio buyers seem satisfied. J.D. 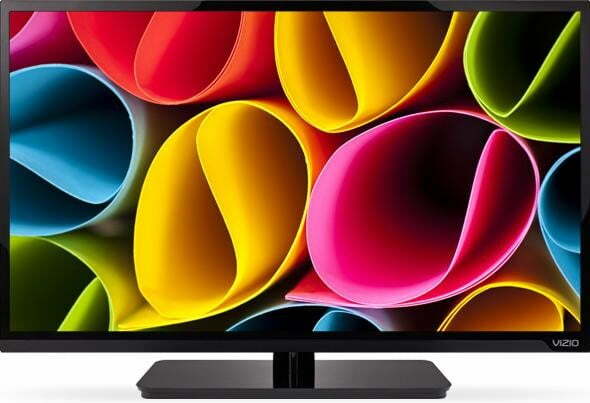 Power and Associates ranked the manufacturer “Highest in Customer Satisfaction with HDTVs” for 2012. A continuation of Vizio’s Razor LED product line, the new group of Smart TVs sticks with the company’s tried and true business model. The difference this time around has to do primarily with one simple factor: size. The new Vizio’s deliver a larger-than-ever experience, starting at a healthy 55” and expanding all the way to 70”. Vizio has also increased the screen space on these models by narrowing the borders around the viewing area. All models are set to feature 1080p Full HD resolution and a 120Hz refresh rate, while the 60” and 70” units will also auto-adjust according to lighting and feature SRS StudioSound HD. In addition to that enticing pricing news is word that Vizio has dropped the price that 58-inch, 21:9 Cinemawide display we drooled over at CES 2012 to $2000, as noted below.